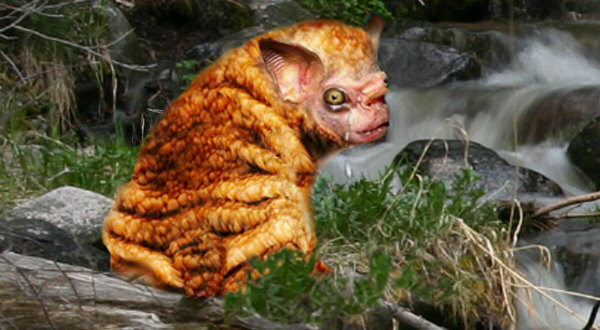 Can We Get Some Love for the Squonk? At the latest meeting of the legendary creatures. Golem: Before we get started, has everybody that’s going to be here arrived? Nessie won’t be here today but he sends his regards. 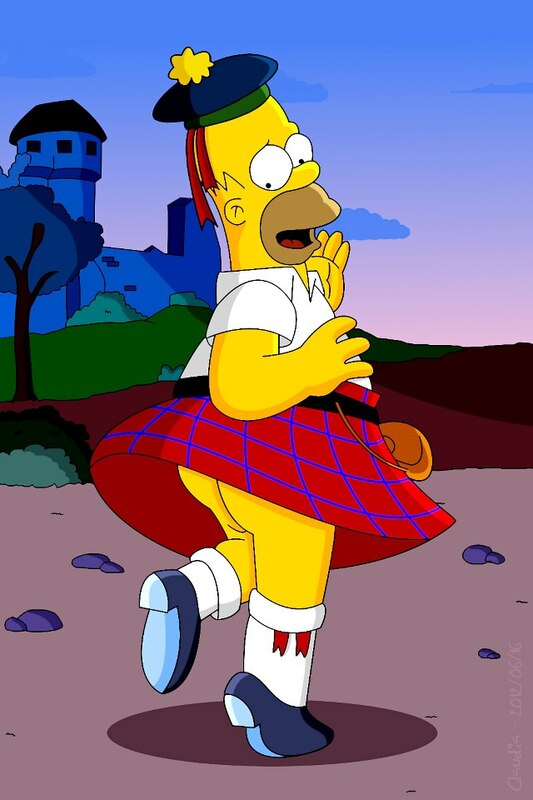 He did send us a postcard; it has a bunch of guys playing bagpipes in kilts mooning the camera. Pass it around please. Chupacabra won’t be here either, evidently he has had some trouble at the border. We’re still missing someone…Bigfoot, is your cousin coming? Bigfoot: Yeah he’s coming. You know how he is: always showing up late. Golem: I’m aware…wait, here he is now. Speak of the devil. Golem: Not you Jersey. I was just commenting that Yeti’s finally here. Bigfoot: That joke gets funnier every time you tell it. Bigfoot: Thunderbird agrees with me. Yeti: Fine, I’m done with the joke. So what’s so important that we had to call an emergency meeting? Golem: Squonk has some issues that he would like to address. Yeti: When’s he getting here? Squonk: I’m standing right here you overgrown monkey. Yeti: Sorry little guy, I didn’t see you there. Squonk: That’s the problem, nobody ever sees me there. Most people don’t even know of my existence. How am I supposed to be a “legendary creature” if nobody has even heard of me? Golem: You have to admit, your story’s a little bit depressing. Squonk: I’m sorry. Do I depress you? Yeti: You have ill-fitting skin that’s covered with warts and blemishes, you’re constantly weeping, and when you get upset you just dissolve into a puddle of bubbles and tears. Bigfoot: Consider yourself lucky that nobody notices you. It’s miserable having these idiots constantly stomping through the forest looking for you. I don’t know how many times I’ve just sat down to a nice dinner of berries and grubs, and some slack-jawed moron comes traipsing through the forest, whacking a stick against a tree because “that’s how the bigfoot communicates.” I have never in my life mindlessly whacked a stick against a tree. Jersey Devil: Maybe people would leave you alone if you stopped leaving those big oafish footprints all over the woods. Jersey Devil: Thunderbird agrees with me. Bigfoot: Hey, I live in the woods and I have big feet. Yeti: I love those beef jerky commercials: messin’ with Sasquatch. Bigfoot: Those commercials are an affront, they make me look like a gullible imbecile. Yeti: That’s what I’m saying, they’re hysterical. Bigfoot: They are an abomination. Yeti: What? So he can use that joke? Golem: Look at that, Squonk just dissolved into a puddle of bubbles and tears. Hope to see you guys next time — love Nessie.